Steve Bannon. Do I need to say more? Hell, no! Because I can sing instead!! Shoutout to our newest Raisinette, EPIC GOP Fail, whom you can follow on Twitter, as I do. EPIC tweeted that we needed a new graphic to measure the new GOP crazy. I was inspired, because all Raisinettes know that I never shirk my duty when called to do the public a service. 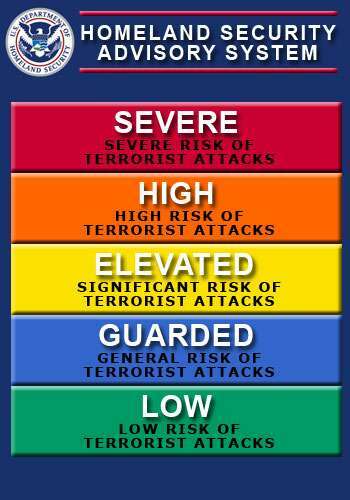 Behold, the new Terror Alert Color Coded System, just like the old one that has kept us so safe. I am not a wealthy man. According to Donald Trump, I would be a loser. I changed diapers. I am an attentive, nurturing father. I built a modest business. I am devoted to my spouse. We’ve been through thick and thin, better or worse and we still remain devoted and deeply in love. Our home is modest. Our car is not luxurious. I served my country and paid for college myself, without ever taking a loan or dime from my parents. And I am happy because I am grateful. Every single day, I am grateful for this life, better or worse, rich or poor. I’m even grateful for the trials and struggles I’ve had. I’m grateful for the wisdom life’s difficulties and set backs have provided. The man in the gilded tower is not grateful. Checks & Balances? The checks all bounced, and they’re all unbalanced! One of the great questions of Donald Trump’s presidency is how well he’ll get along with House Speaker Paul Ryan and more traditional conservatives. If the president’s meeting with congressional Republicans in Philadelphia on Thursday is any indication, the answer is they’ll do very well. 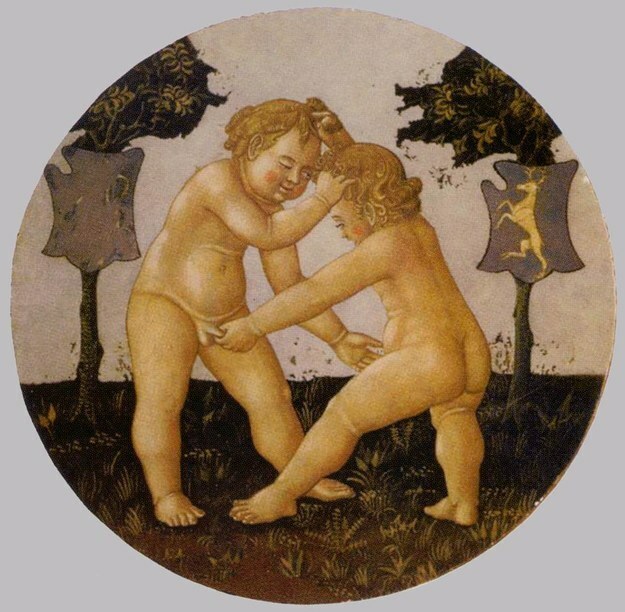 One of my sources on the inside at the retreat sent me a picture of the Commander In Chief Demander-and-Thief and what seems to be (from this picture) the Streaker of the House. Sen. Marco Rubio put aside serious reservations about Rex Tillerson and announced Monday he’ll back the former ExxonMobil chief for secretary of state, effectively clinching his confirmation. The support of the Florida Republican means Tillerson will clear a Monday evening in the Senate Foreign Relations Committee instead of facing an embarrassing “unfavorable” verdict by the panel. Rubio’s decision likely foreshadows unanimous GOP support for Tillerson, who had made some Republicans nervous about his closeness to Russian President Vladimir Putin and reluctance to criticize Putin’s actions during his confirmation hearing. The woolen, two-cat-ear headgear has fast become the feline symbol of feminine protest for thousands headed to the Women’s March on Washington on Saturday. Project leaders envision a sea of pink hats as the perfect way to tweak President-elect Donald Trump over his infamous remark about grabbing women by their . . . you know what. Thanks to our old friend Tengrain over at Mock Paper Scissors (you should be visiting there often, dear Raisinettes), this is how I spent my afternoon.